Our 1 acre live/work community space in Austin, TX will be used to host Workshops, Training, Hackathons, Makerfaires events for entrepreneurs and innovators working on ideas that change the world. We will provide access to $300,000 in cash prizes and a network of 200,000 of the best engineers. Please like our Facebook page and donate below to bring TinyHackerHouse to life. Learning to build a #Geodesic #Dome #Structure #Art #Installation. TinyHackerHouse team builds first geodesic dome. 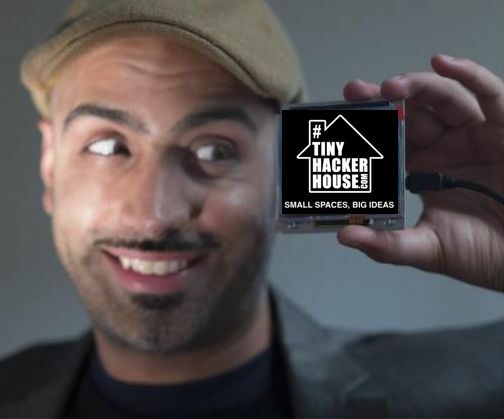 TinyHackerHouse enters the @openideo #Bridgebuilder challenge to raise $1M funding. The steel framing approach. We can build this tiny studio in less than 4 hours. Examples of alternate TinyHome designs, Which design do you like and why? How do we make a TinyHouse smart? Introducing project TinyNest, Nest for TinyHomes. The first in a line of products for low power smarthomes. STARTUPBUS TEXAS 2017 : ARE YOU CRAZY ENOUGH TO JUMP ON A BUS, CONCEIVE, BUILD AND LAUNCH A STARTUP WITH A TEAM OF STRANGERS IN 72 HOURS? RV Camping experience during SXSW for musicians, artists and festival goers. Meetup communities I've built and organized events. Tom Soderstrom CTO at JPL - Working on an Augmented Reality of Mars Rover iPad app.